Available at Amazon or your local bookseller. 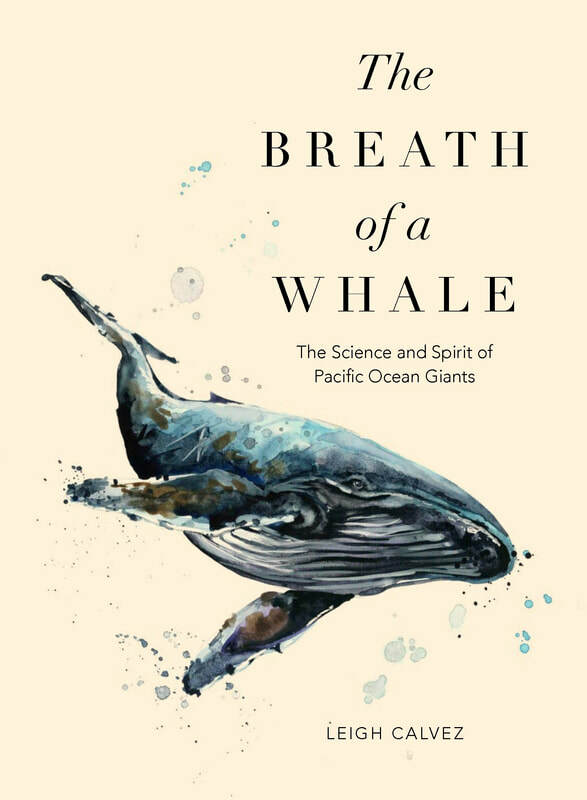 In The Breath of a Whale, naturalist Leigh Calvez draws from a dozen years researching, observing, and probing the lives of the giants of the deep to relate the stories of nature’s most remarkable creatures—from ancient blue whales and migratory humpbacks to the familial orcas that struggle against catastrophic ecological change to survive. The author invites the reader to board a small research catamaran maneuvering among 100-foot long blue whales; to join the task of monitoring patterns of humpback whale movements at the ocean surface; or to follow the hopeful story of Springer, the orphaned orca calf that became the first cetacean to be successfully reintroduced to the wild after rehabilitation. Combining a breadth of scientific knowledge with her narrative gifts as a nature writer, Calvez reminds us that to understand the lives of whales deepens our connection with the natural world. Leigh Calvez is the author of The Hidden Lives of Owls, a New York Times bestseller. She has studied, observed, and shared her knowledge of whales in Hawaii, Massachusetts, New Zealand, British Columbia, and the Azores Islands off Portugal. She lives in Suquamish, Washington. "The Breath of a Whale is as intimate and spirited as its title. This splendid book offers us the whale watch most of us can only dream of: We get close-up and personal with wild giants, in company of an expert who feels like a close friend. But because these whales' individual dramas are closely entwined with those of their observer, the insights in these pages are not only riveting but deeply inspiring. Leigh Calvez offers not only hope for saving these endangered leviathans, but also for saving ourselves." "With style, accessible writing, and a narrative of personal growth and discovery, Leigh Calvez’s The Breath of a Whale is both more positive and more personal than other books of its type." "Leigh Calvez writes well-researched, thoroughly beautiful books that illuminate the lives of animals without stripping them of their essential mystery." "She [Calvez] offers a thought-provoking, behind-the-scenes look at the work of countless volunteers and scientists who study the “secret” lives of owls. Their unsung efforts in banding, recording, observing, nest-checking and other owl-related activities are truly impressive. And she presents the extreme challenges some owl species face in a changing world and changing ecosystem." "Calvez probes the forest at night in search of answers to the mystery [of owls], exploring topics such as owl calls, social behavior and mythology attached to the species."